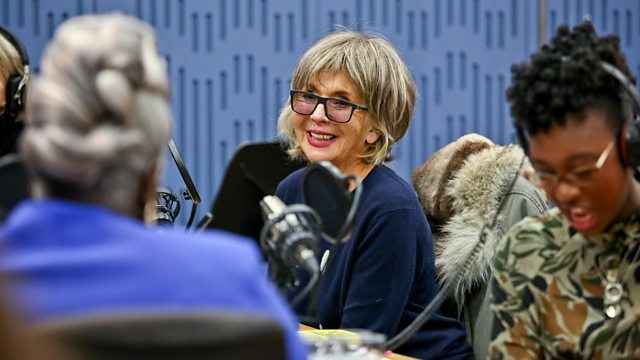 Nikki Bedi and YolanDa Brown are joined by Sue Johnston, Dan Schreiber and Lauren Child for an eclectic mix of conversation, music and comedy. With music from The Kingdom Choir and The Burning Hell. 'Death on the Tyne' is on Saturday 15th December at 21.00 on Gold. 'Mary Poppins' and 'Hubert Horatio: How to Raise your Grown-ups' are available now. Tickets and tour dates for the live show 'In No Particular Orde'r are available via the No Such Thing As A Fish website. 'The Book Of The Year 2018' is available now. 'Stand By Me' and 'Christmas EP' are available now on Sony Music. The Kingdom Choir are touring next year. Check their website for details. 'Baby' is available now on BB*ISLAND. The Burning Hell are playing at Ramsgate Music Hall on Saturday 15th December.